MONROVIA – The Economic Freedom Fighters of Liberia (EFFL) have called on Liberians not to harken to the call of the Religious Advisor to the President who requested a three-day national prayer to salvage the economy and make Liberia attractive to donors and investors. He made the remark Wednesday when the EFFL responded to President George Weah’s State of the Nation Address which he delivered last week. President Weah’s religious advisor Rev. M. Emmanuel Nimely, said in a statement that citizens must to pray for two hours every day for God’s intervention. Christians, according to the statement, should hold an all-night prayer vigil on the last Friday of every month for God’s blessing on Liberia. According to Gonquoi, President Weah lives in a shield of corruption, bad governance and mischief and prayers would, therefore, not help the situation until he becomes a better leader. Gonquoi in a strong tone added that the Weah-led government is a very corrupt government which when left to continue in governance will injure the future of the unborn generation. “We want to say in this public manner that if this government continues to push us to the wall, we’ll take some very serious radical actions that perhaps Mr. Weah and his team will have to sit… If they keep pushing us to the wall, we’ll be forced to take some radical actions and those radical actions would lead to Mr. Weah stepping down,” Gonquoi threatened. The EFFL Chief expressed disappointed that President Weah failed to state how his government intends fighting corruption. 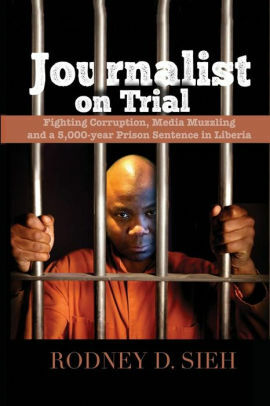 “Because he is guilty of corruption, he failed to capture corruption in his annual message,” Gonquoi asserted.